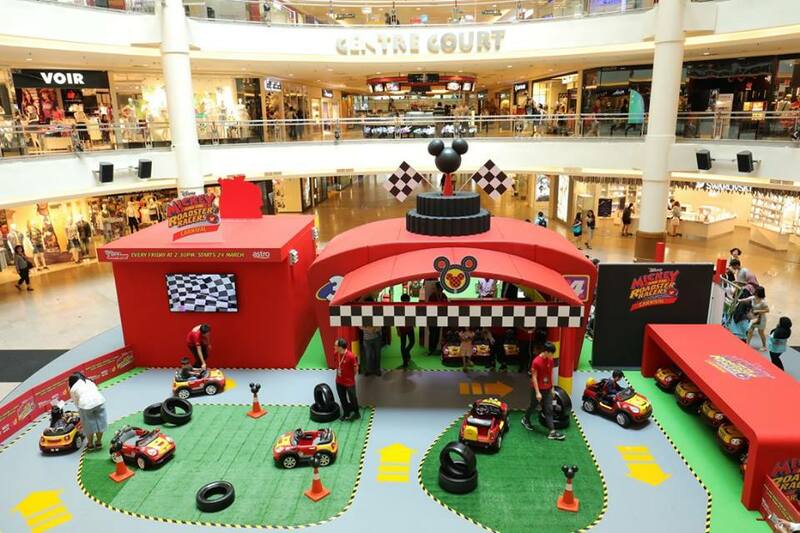 In anticipation of Disney Junior’s latest animated series, Mickey and the Roadster Racers, kids and families in Malaysia will have the chance to get Roadster Ready at the “Disney Junior Mickey and the Roadster Racers Carnival” and earn their very own Roadster Racer’s license. Time to play your children's school holidays, I know my sons enjoy themselves its a nice family bonding time. The racing car activities, for racing car children need to be below 130 cm and about 100com, there's a board at the event that you can check your child's height. It's fun time, my son doesn't know to drive. He having a good time driving around. He says now he knows how to drive and it's so easy. He knows turning the wheels, step on the black paddle and let it go for stop. 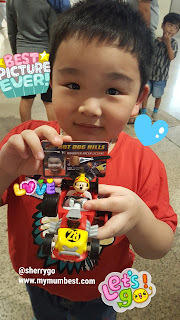 my son happy showing his Roadster Racer's license and his toy. 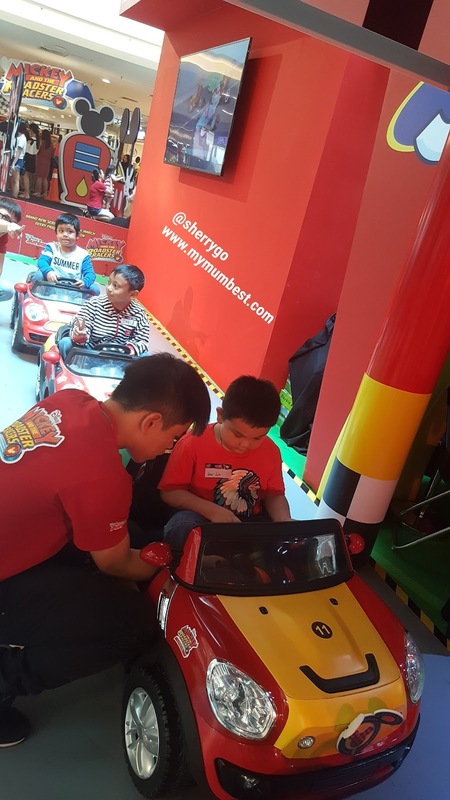 You too can earn a Roadster Racer's license for your kids, Step 1 is head o the counter and register your kid's name and take a photo. Step 2 is complete all racing theme activities at the track and Petrosains Activity Area. Step 3, the final step that you can collect your Roadster Race's License. Mickey Mouse Meet & Greet session. 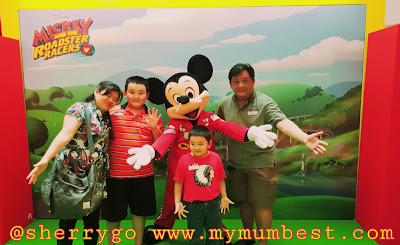 Mickey and the Roadster Racers will premiere on Disney Junior (ASTRO Ch 613) on 24 March, 2.30pm. Wow! such a fun day to kick start the school holiday. 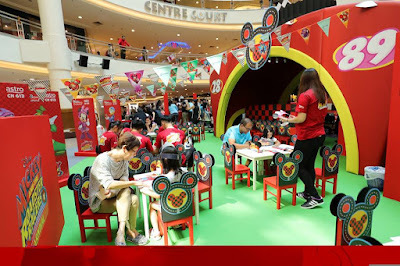 I m sure the mall will be packed.